This picture was painted by Airman Josh Chambers and recently placed in the STTS gym at Hurlburt Field, FL. Mom and Dad, along with David, Joseph and their families, were able to visit back in October while attending the medal ceremonies for Ish Villegas and Rob Gutierrez. Mark was stationed at Hurlburt Field during the CCT pipeline before being transferred to Pope AFB, NC. 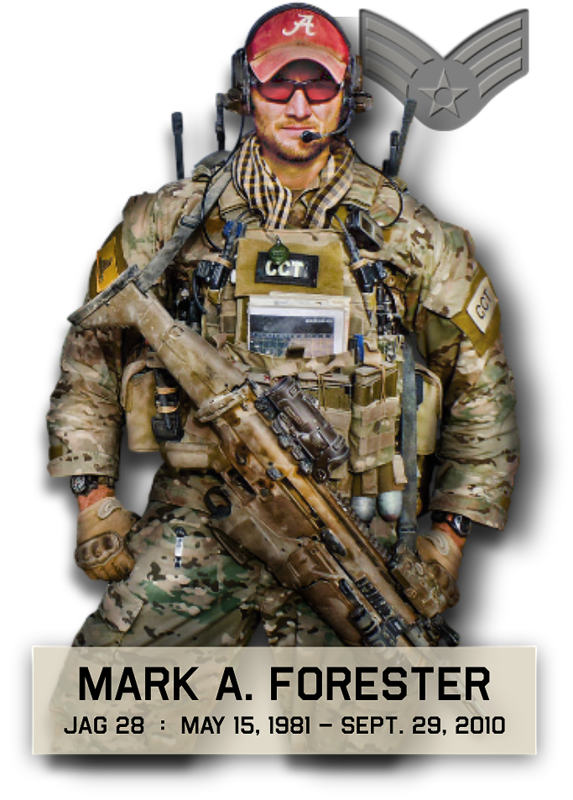 Some of his instructors considered him a ‘gym rat’, therefore they felt it would be appropriate to use Airman Chambers’ talents to honor Mark and then hang this 4′ x 7′ picture for all to see who walk thru the gym doors. For all involved, including Josh Chambers and retired CCT Vint Anderson, we thank you for keeping Mark’s memory and work ethic alive.